Dear Patient! Artificial eyes made of glass allow you to wear them inconspicuously, to fit them without any problems and thus to have confidence in your appearance thanks to their natural look. But please always remember that the prerequisite for comfortable wearing of your eye prosthesis is the right care and treatment. This is extremely simple if you follow these instructions precisely. Please read this information carefully. If in doubt, contact your expert ocularist. 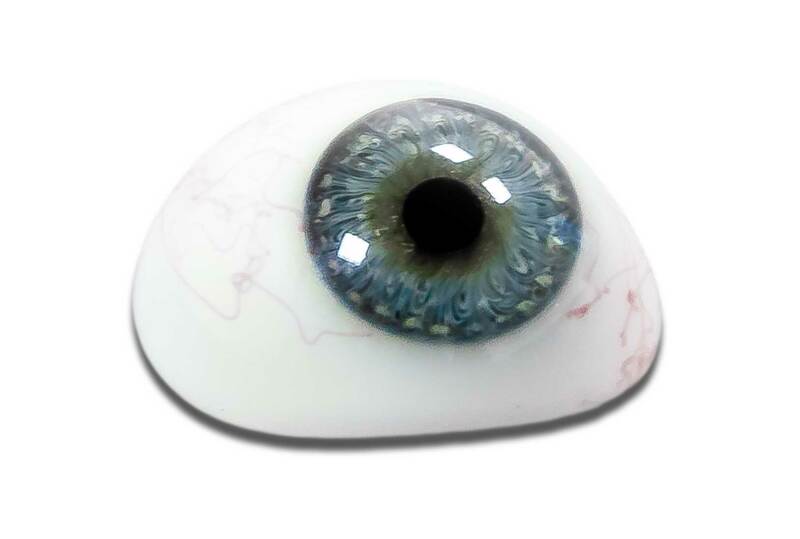 Your eye prosthesis is a custom-made product that is individually created and adapted for your eye socket. The material used is cryolite glass. This high-quality special glass, which has been known in glass production in Germany since about 1870, is produced in the coloured glass workshop in Lauscha. Cryolite glass continues to prove extremely advantageous in the field of eye prosthetics, as it is free of any lead content. This property guarantees optimal mucosal tolerance due to the highly resistant surface of the artificial eye against the highly corrosive tear fluid. Artificial eyes made of glass are made double-walled hollow or as a very thin shell prosthesis. The respective type of prosthesis must be determined by your ocularist depending on the condition of your socket. The easy-to-wear, durable properties of your prosthesis provide you with optimum freedom of movement for work, leisure and sport. The prosthesis should be thoroughly cleaned at least once a day. Use only clear, lukewarm water. Hot water is not recommended, as extreme temperature fluctuations can impair the durability of the material. Treatment with corrosive liquids or cleaning of the surface with hard objects should also be avoided. 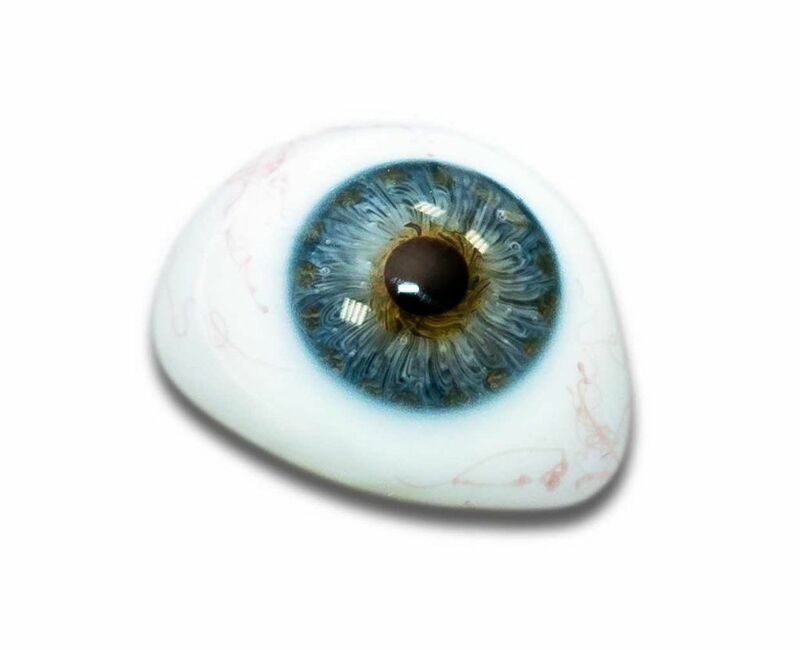 In case of stubborn soiling, the artificial eye can be soaked for around 10 minutes. A saline solution is recommended (one teaspoon of salt per litre of boiled or distilled water). Germicidal liquids can also be used for cleaning – consult your ocularist. Do not forget to rinse the prosthesis thoroughly and then dry it with cellulose. When the artificial eye is not being worn, keep it dry in a closed container. Please note: The artificial eye must not be kept in water. The question of whether the artificial eye can be worn day and night should be decided in consultation with your ocularist on a case-by-case basis. Please always remember to make a soft surface available when removing the prosthesis so that the artificial eye is not damaged when falling down. The prosthesis is generally removed facing upwards. Press down the lower eyelid until the lower edge of the prosthesis is exposed. Then push the tip of your index finger under the lower edge of the prosthesis and grasp the artificial eye with the middle finger to remove it from the socket. If necessary, it can also be removed with the thumb and index finger. In special cases it may be necessary to remove it with the help of a special instrument (hook or suction cup). Your ocularist will also advise you individually. Please note: If you rub or wipe the eye, always do this in the direction of the nose. Wipe in the opposite direction (especially on the lower eyelid), then you could twist or squeeze out the prosthesis. One hand should pull up the upper eyelid, the other then puts the artificial eye on the lower eyelid. Now push the artificial eye as far up as possible into the eye socket. Hold the artificial eye in this position with the upper hand, and pull out the lower eyelid with the other hand. 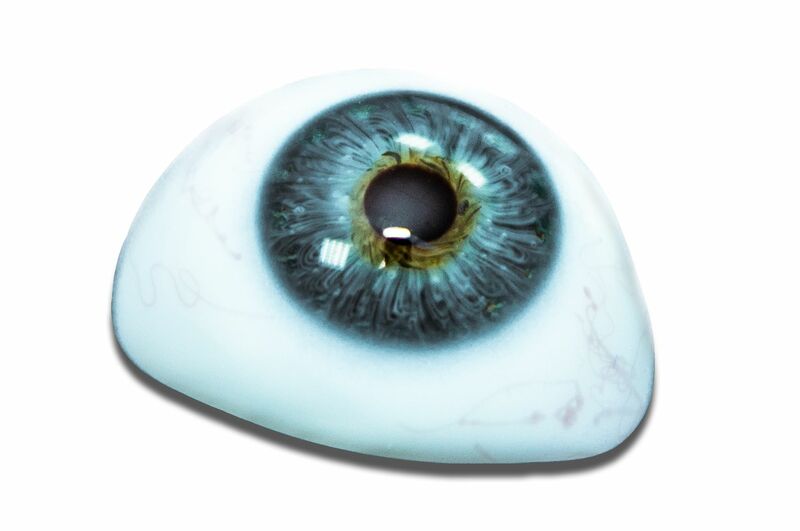 The artificial eye will now automatically set itself in the correct position. If necessary, position the prosthesis with light finger pressure to allow any air behind the prosthesis to escape . Look up and place your index finger on the artificial eye. Press the lower eyelid behind the lower edge of the artificial eye with the other index finger or push a blunt rod behind the lower edge of the artificial eye and lift out the prosthesis. Press the pupil of the prosthesis with the aid of a small moistened suction cup until it is sucked in. Then pull carefully downwards.